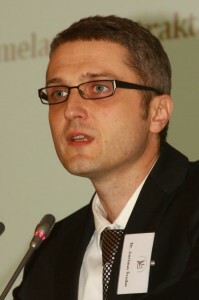 Dr. Aurimas Švedas works at Vilnius University as an associated professor. He is a doctor of Humanities (History). Most famous publications: In the Captivity of the Matrix: Soviet Lithuanian Historiography (1944–1985); The Whole Life is History: 12 Oral History Episodes. Edvardas Gudavičius is Interviewed by Aurimas Švedas: “The Models of Behaviour of the Old Generation Historians in the Presence of Sovietisation Process”; “Search for the Turning Points in the Soviet Lithuanian Historiography: 1956 (? )”; “Janus’ Puzzle: a Case of Creative Application of Marxist Theory in the Soviet Lithuanian Historiography?”; “The Forms of Identity of Soviet Lithuanian Historians: the Level of Metaphor”. Currently two books are being prepared for publication: about a film director Almantas Grikevicius and an artist Petras Repsys.